Meanwhile, when it comes to optics, both models incorporate Epson's proprietary 15-element glass projection lens designed for zero-light-leakage. Likewise, the 3-Axis Motorized Lens allows users to shift the lens up to 96 percent up or down on the vertical axis and up to 47 percent left or right on the horizontal axis. Finally, the 5050UBe model also provides a WirelessHD option via an included Epson WirelessHD transmitter with 4 HMDI input, enabling wireless transmission of 4K content at up to 30 fps. 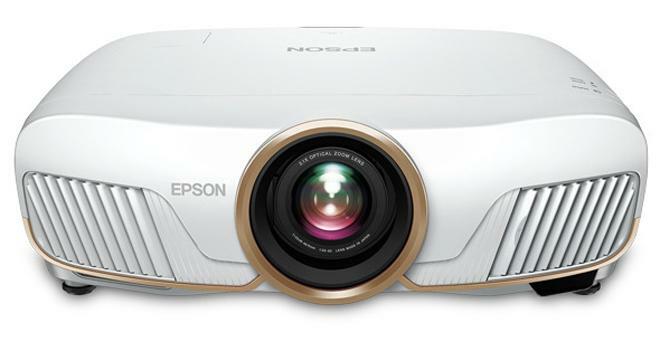 Both projectors include a two-year limited warranty, along with toll-free access to Epson’s PrivateLine priority support, 90-day limited lamp warranty, and free two-business-day exchange with Extra CareSM Home Service.